Greetings from beautiful Cologne, Germany! 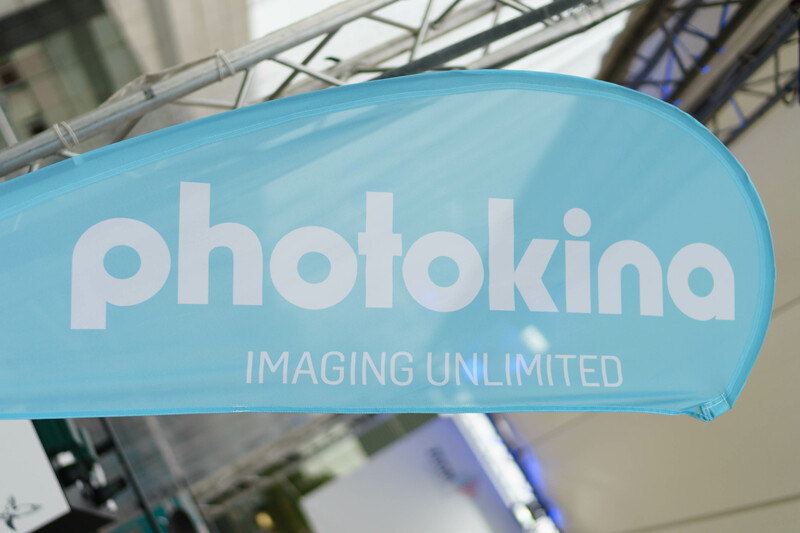 In case you missed the recent talk on Twitter, I’m attending Photokina for the first time, and so far I’m really loving the show. If you want to stay up to date, keep an eye on Analog Senses, Candid, and Tools & Toys during the week to make sure you get all Photokina-related coverage. It’s going to be a blast! Today I was invited to a private Sony press event where the company briefed us on the newly announced a99 Mark II camera. Long story short, it’s an extremely compelling camera, and I was very impressed with many of the features Sony built into this new flagship. This is where the private Sony press conferences are held. Mum’s the word! 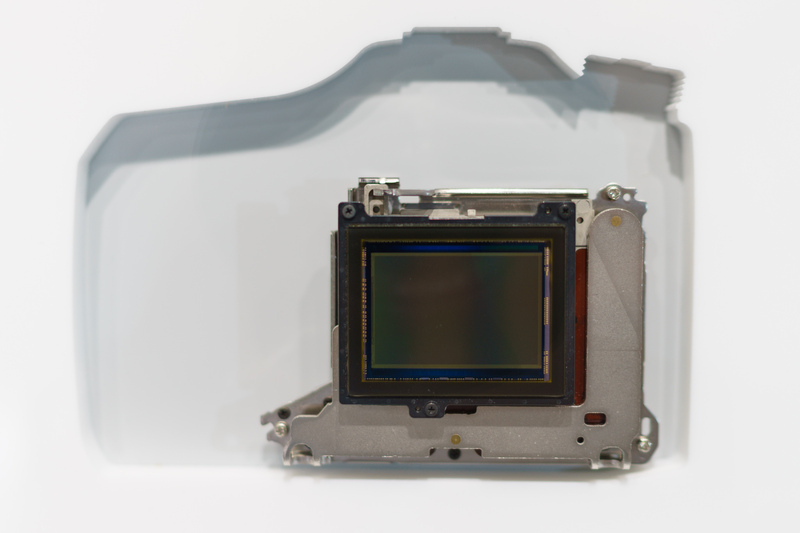 The a99 II includes a new 42MP back-illuminated sensor, which is similar to the one found in the a7R II. 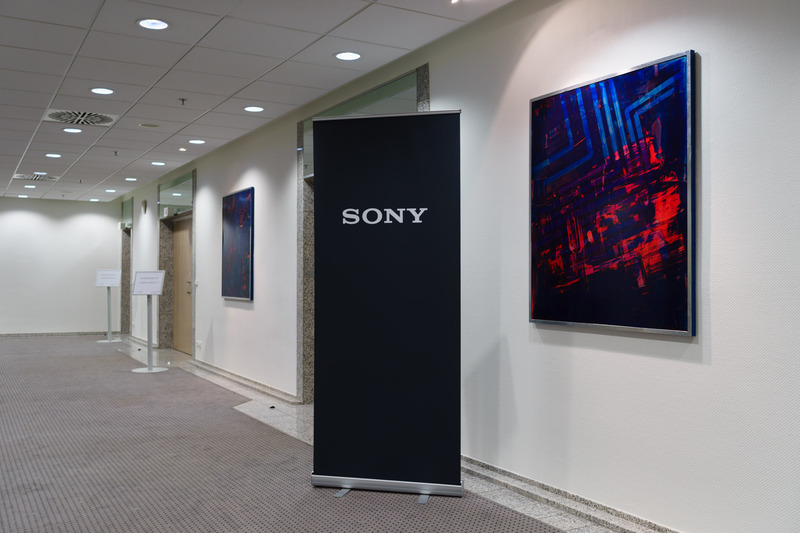 However, Sony has created a new front-LSI image processor which takes some of the workload from the BIONZ X image processor, and the company said they expect the new camera to outperform the a7R II in low light situations, although they didn’t say by how much. 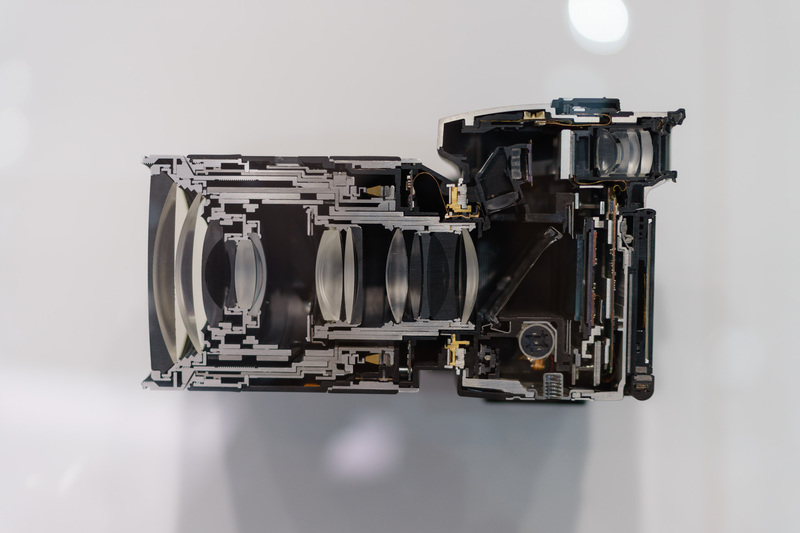 The Sony a99 Mark II, the new flagship in the A-mount system. Photo credit: Sony. 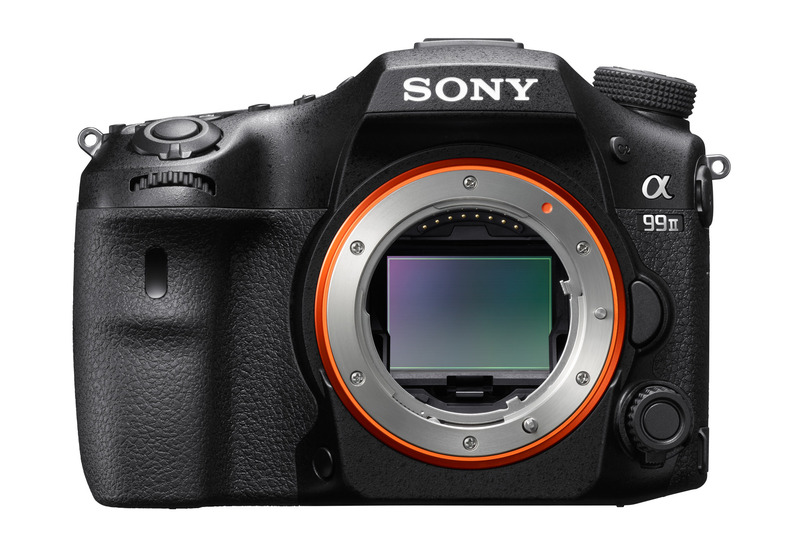 The sensor in the a99 II has similar specs to the one in the a7R II, but Sony says low light performance should be improved thanks to the new front-LSI image processor. On the speed front, the a99 II is capable of shooting up to 12fps at the full 42MP resolution and with full AF capabilities, which is very, very impressive. And for the first time, they’re displaying the state of the memory buffer on screen, so you know how many frames you can shoot before your camera slows down. For what is worth, it never froze on me during the hands-on time I spent shooting with it. These buffers are deep. Sony has also included the Live View mode they introduced with the a6300, which allows you to see the action in real-time through the viewfinder as you shoot, making it easier to track moving subjects while shooting in burst mode. This mode is limited to 8fps, though, as in the a6300. There’s a big difference between shooting in Live View mode and shooting in the regular EVF mode, and I very much prefer to use Live View when shooting bursts. The a99 II also includes many of the nice features found in the a7-series cameras, including a superb EVF and 5-axis in-body image stabilization. Sony says the IBIS system in the a99 II can compensate for up to 4.5 stops, which is pretty good, and probably a bit better than the E-mount cameras can do in real-world shooting. 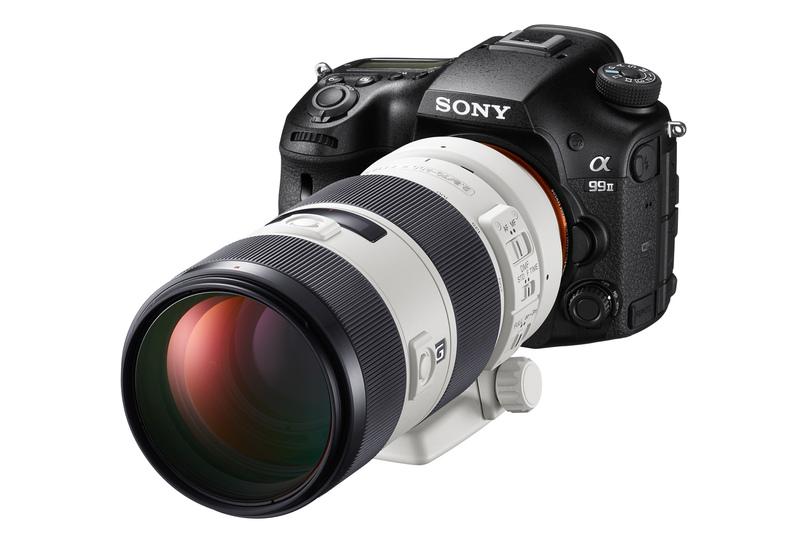 The a99 II includes a newly designed 5-axis image stabilization system that is capable of providing up to 4.5 stops of compensation according to Sony. But perhaps the most remarkable feature in the a99 II is, of course, the new AF system. 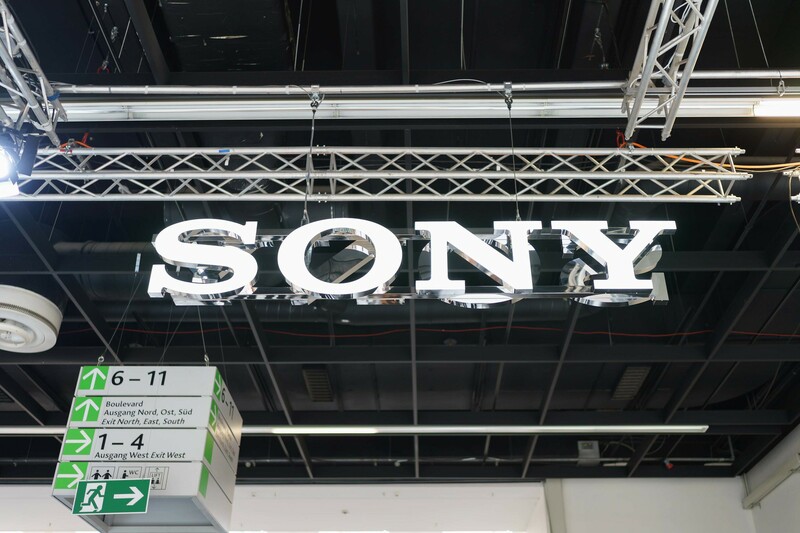 Sony has improved the dedicated AF sensor — which is the trademark of the A-mount — with 79 AF points, 15 of which are cross-type. However, for the first time, they’ve combined those with the 399 on-sensor phase-detection AF points to convert all 79 AF points into hybrid cross-type AF points. What does that mean? Well, the normal AF points inside the dedicated AF system are tweaked to detect horizontal lines, while the 399 on-sensor AF points are configured to detect vertical lines. By combining both systems, the 79 horizontal AF points overlap with some of the 399 vertical AF points, resulting in 79 hybrid cross-type AF points which, according to Sony, provide much more responsive and accurate AF performance. 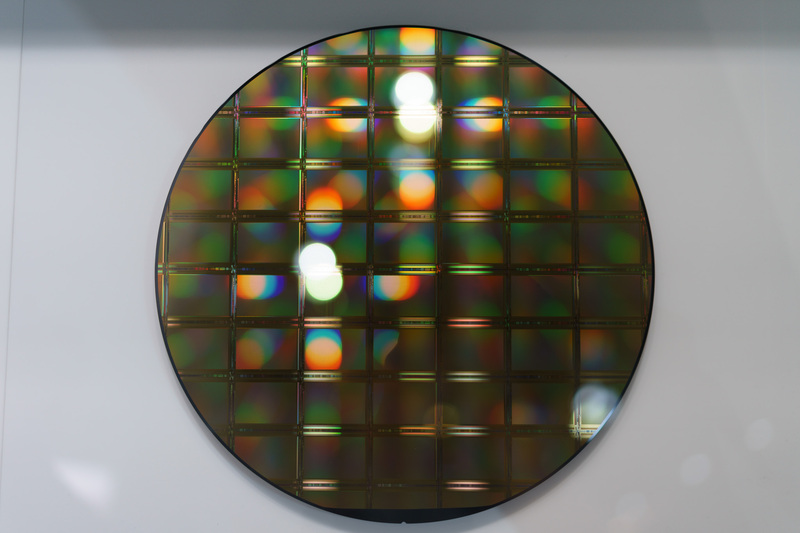 The a99 II features a hybrid AF system: a translucent mirror deflects a small fraction of incoming light to a dedicated AF sensor with 79 phase detection points, but the camera also has 399 on-sensor phase detection points. Finally, to round-up the impressive AF system, face detection and Eye AF are also included, both of which make taking pictures of people a lot easier. I’m used to having these features on my a7 II, and I wouldn’t give them up for anything. 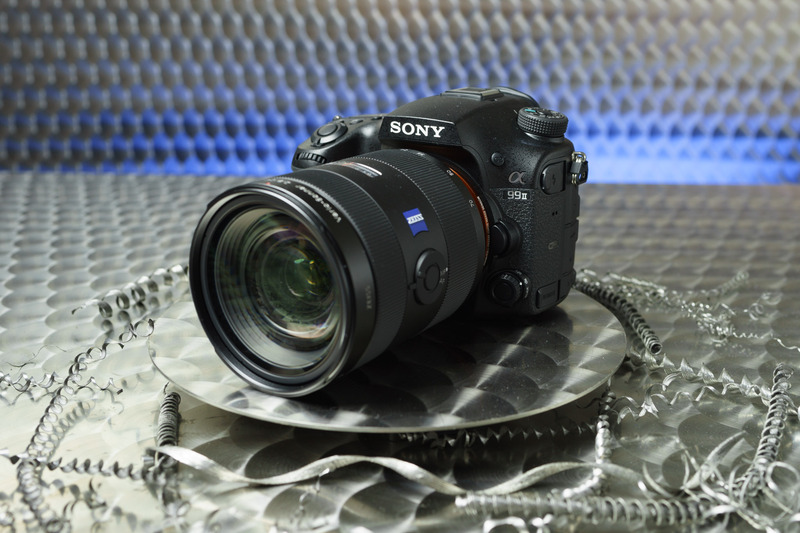 All in all, the a99 II is a worthy addition to the A-mount system, and clearly the new flagship camera from Sony. It either matches or exceeds the performance and feature set of the a7R II, and it does so while retaining the identity of the A-mount. I’m all for mirrorless cameras, but if you prefer a more classic DSLR style, this one should definitely be near the top of your list. During my hands-on time with it, I got to shoot several couples of dancers with a variety of styles, ranging from classic ballet to capoeira, all in a well-lit studio. The camera performed admirably, especially considering the difficulty of the situation. AF was snappy and accurate with the 70-200 f/2.8 zoom lens, and it managed to track the dancers very well. I did get the occasional out of focus shot when one dancer would cross in front of the other, which brings me to another new feature found in this camera. For the first time in a Sony camera, you can configure the AF system to keep focus on the subject that’s being tracked and ignore interruptions, or to switch focus to the closer subject. I didn’t have time to go that deep in the menu system during the event (all we had was like 10-15 minutes with it), but I expect the minor issues I saw to be solved by using the proper AF configuration. Face detection also worked brilliantly, and it considerably improved the accuracy of the autofocus systems when shooting these dancers. Without face detection, the camera would sometimes focus on a dancer’s torso or limbs, whereas with face detection on, it would almost always find their faces. Of course, no camera is going to be able to get 100% of your shots in focus, but the a99 II certainly got close. On the minus column, there’s no question this is a heavy camera. Between the a99 II and the 70-200mm f/2.8 lens, the combination was heavy enough that my arms were starting to get tired after just a few short minutes of shooting. If size and weight are a primary concern for you, I’d probably advise you to take a look at Sony’s E-mount offerings instead. I got to test the camera with the Sony 70-200mm f/2.8 SSM II lens, and the combination performed brilliantly, although it was pretty heavy. Photo credit: Sony. Unfortunately, the units we tested are still pre-production models, so we couldn’t take the images home with us. That’s why I couldn’t include any pictures of the session in this post. I could, however, take pictures of the camera with my own, so here’s a nice shot of the actual new a99 II for your viewing pleasure. The a99 II is the only new product Sony has announced at Photokina, but the company has a massive stand in the main area and I do hope to get some hands-on time with some of the more recent E-mount products, so stay tuned for more!